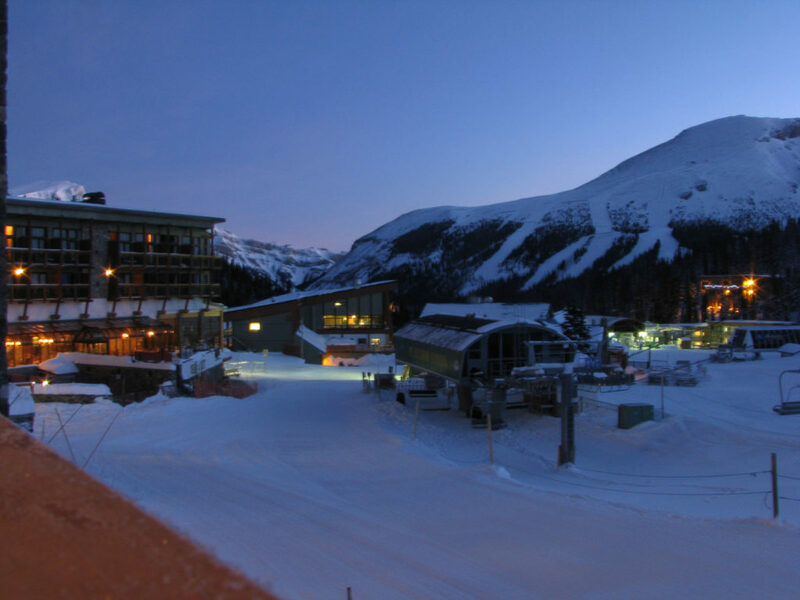 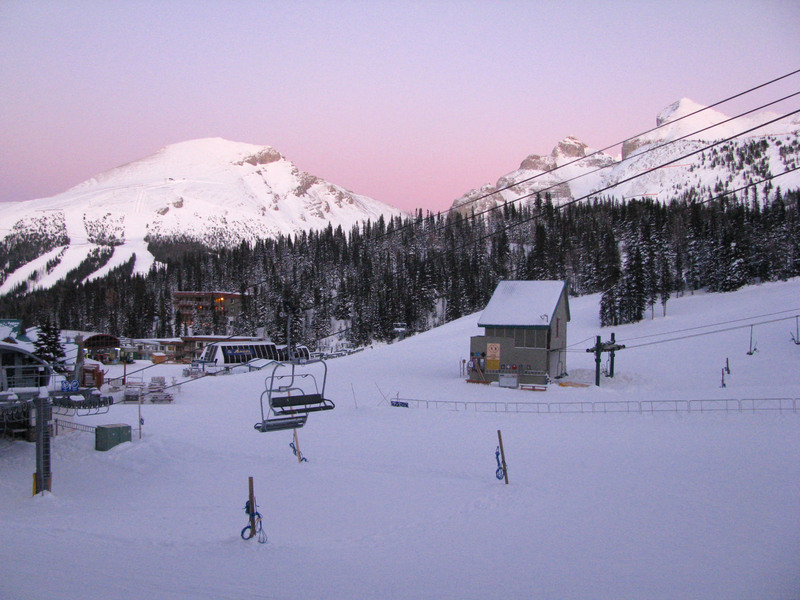 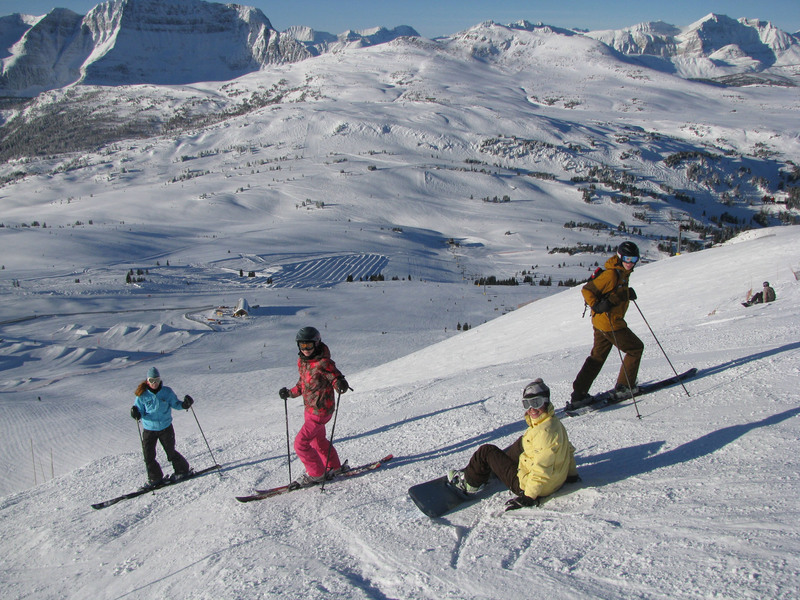 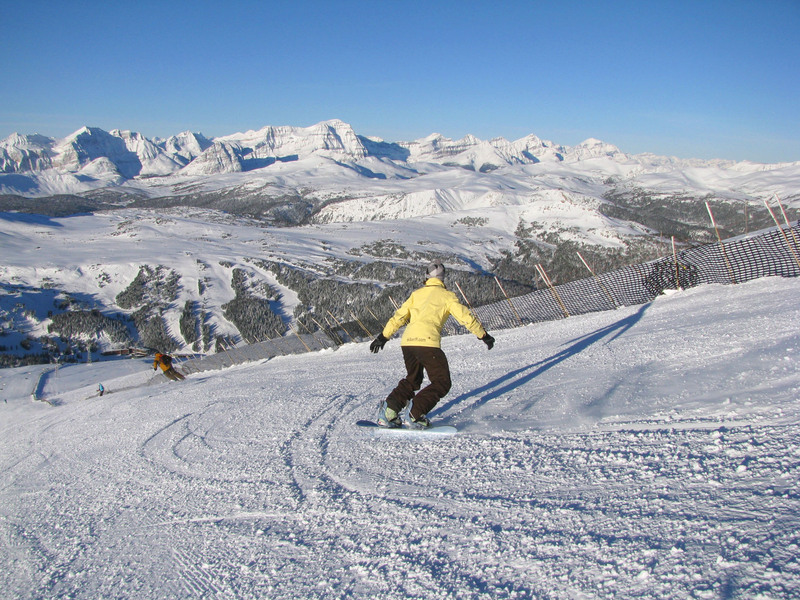 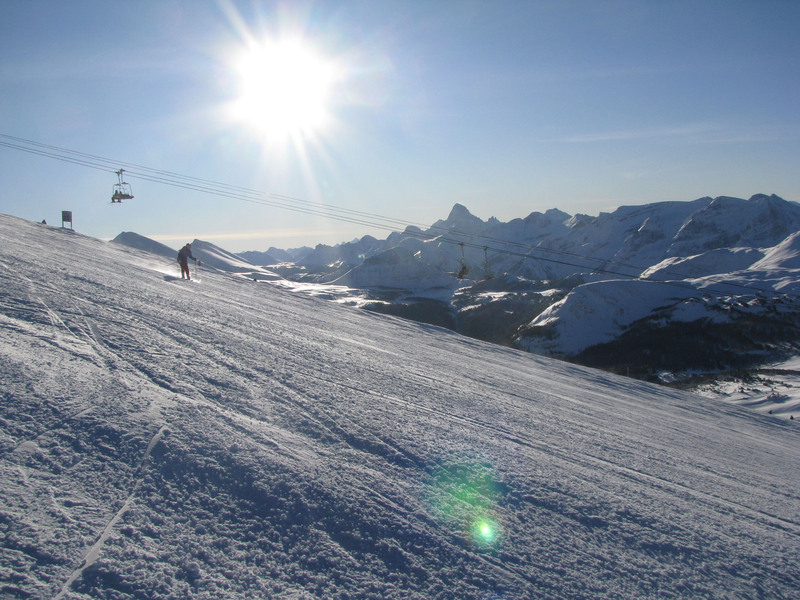 Sunshine Village Ski Resort is in the heart of Banff National Park, and its beautiful. 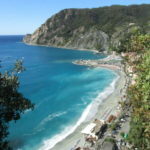 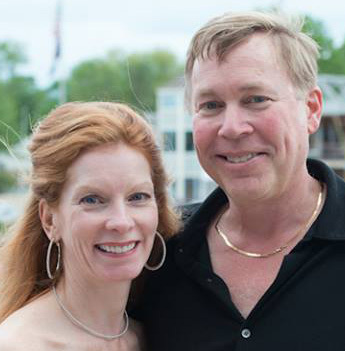 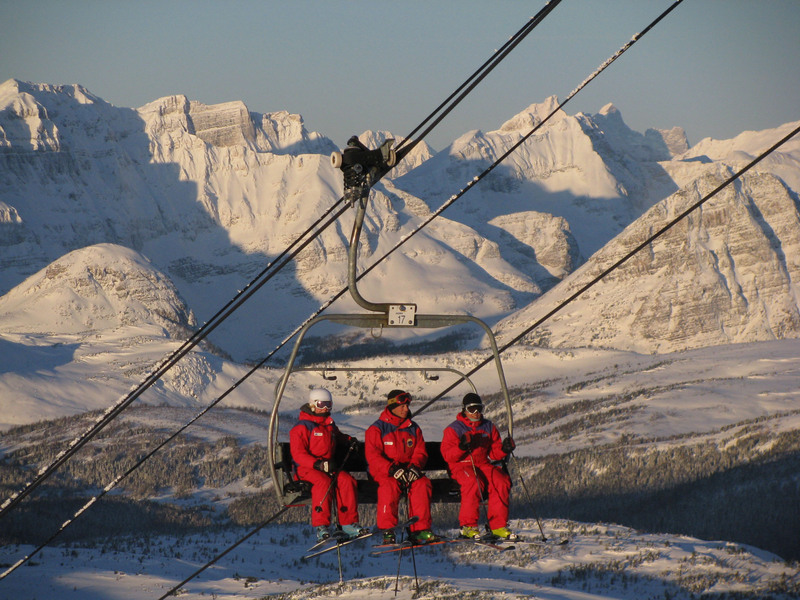 Ski Sunshine boats views, sunshine and over 3,300-acres of skiing on three mountains. 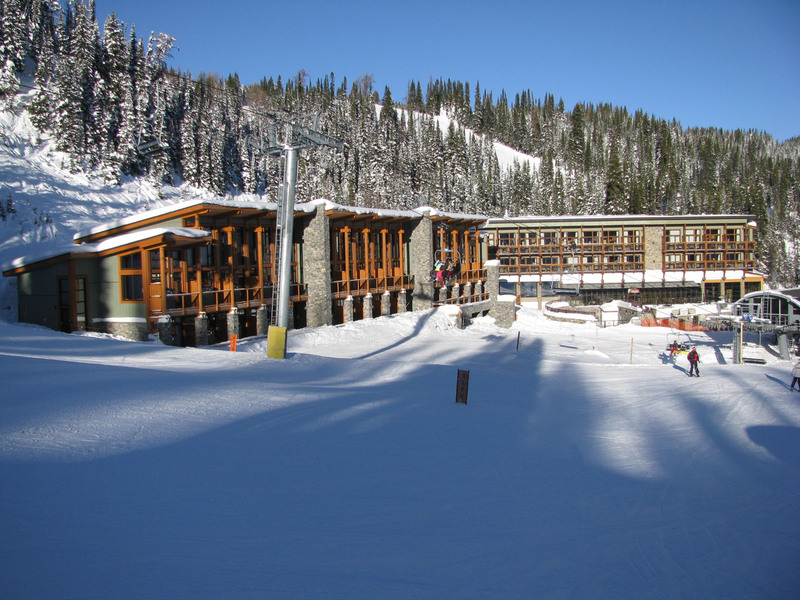 Its also home to the Sunhsine Moutnain lodge, one of the Top Ski Hotels in Canada. 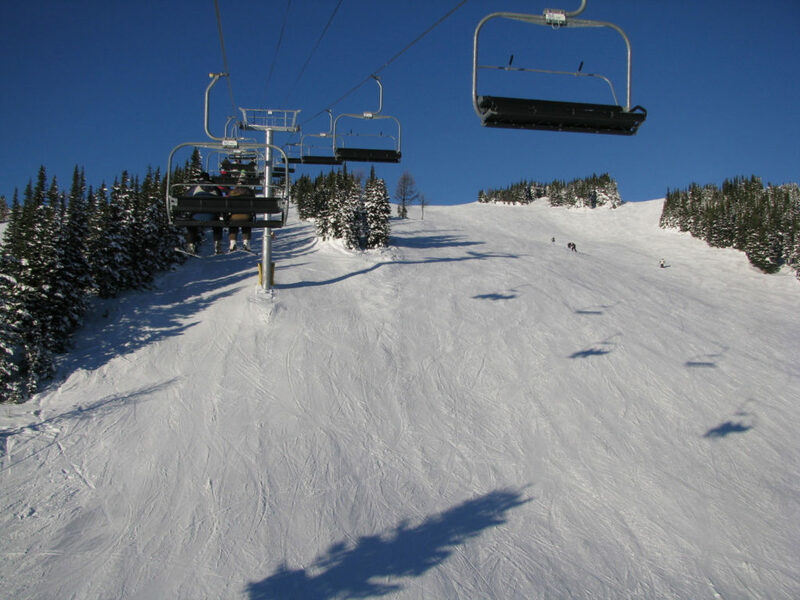 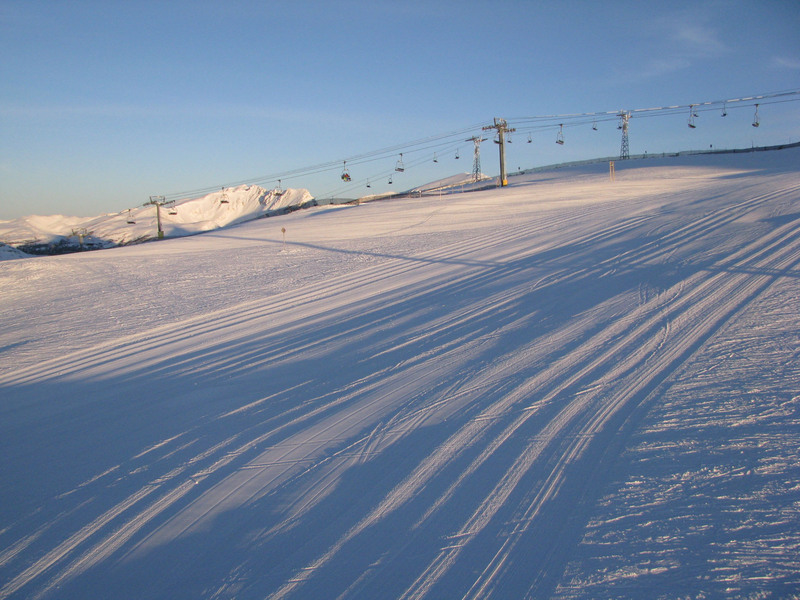 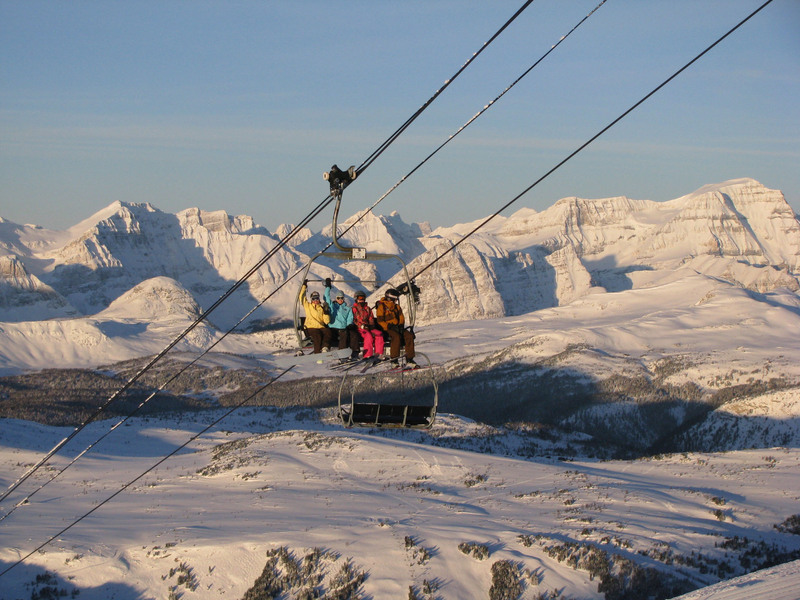 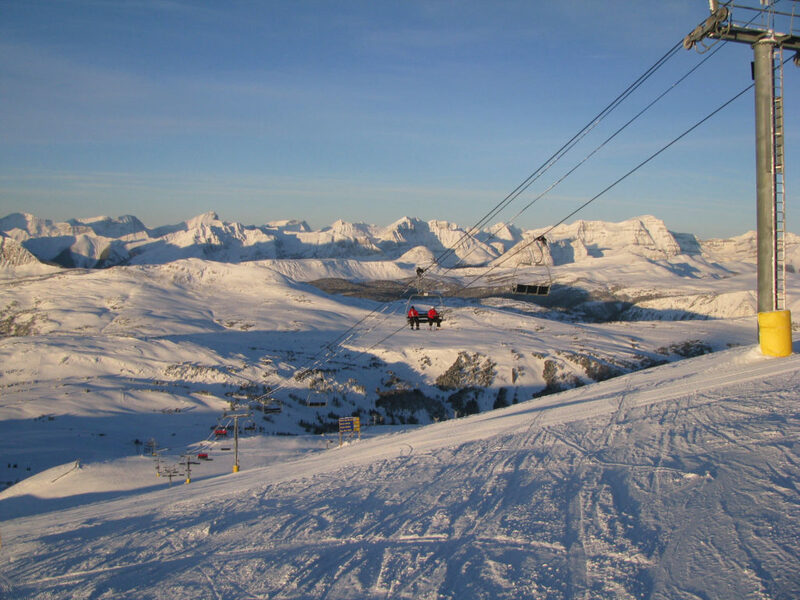 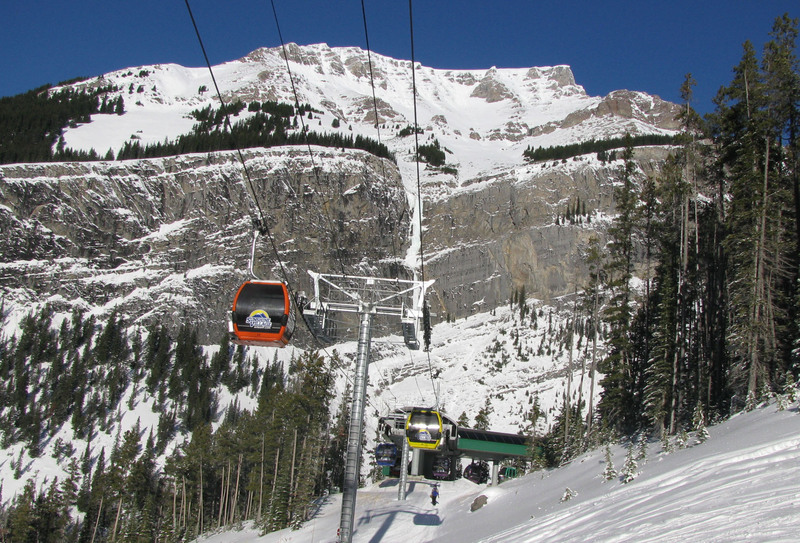 Sunshine is very European, you take a gondola to the ski area base – Sunshine Village at 7,000’ where the skiing begins. 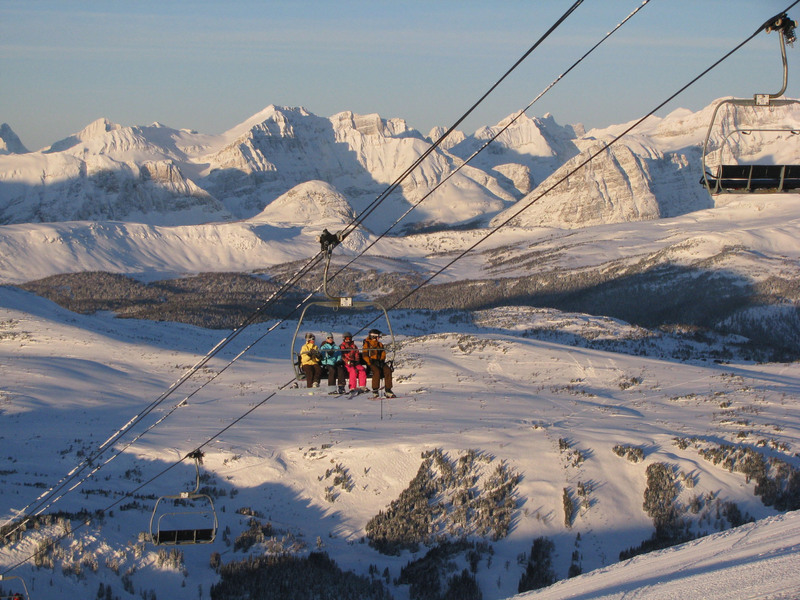 Sunshine has spectacular scenery and snowy mountains in all directions, encompasses skiing on both sides of the Continental Divide – Alberta and British Columbia. 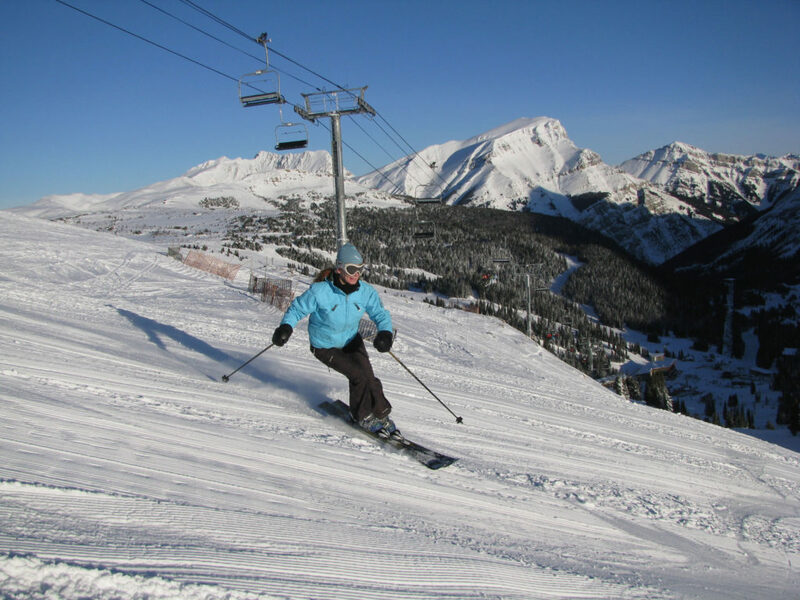 Sunshine Ski Resort, also known as Ski Banff, is huge, high elevation and mostly above tree-line skiing, big bowls, gorgeous groomed cruisers to gentle sun soaked runs on the Wawa quad. 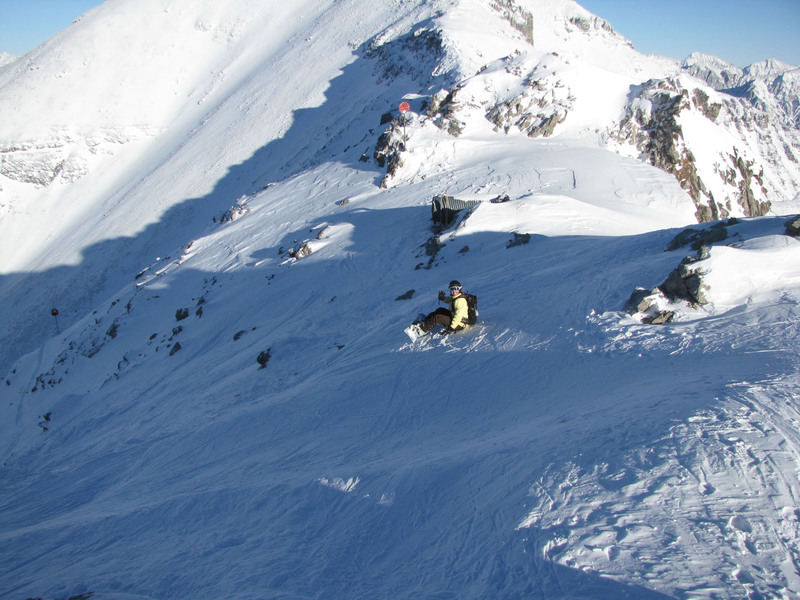 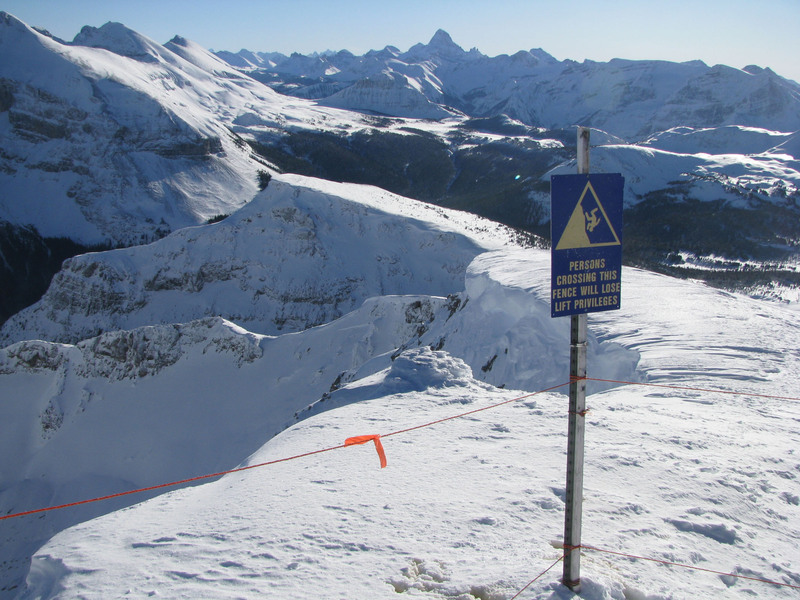 Sunshine has Canada’s s steepest chutes on Goat’s Eye and Delirium Dive – Sunshine’s double black diamond gated terrain. 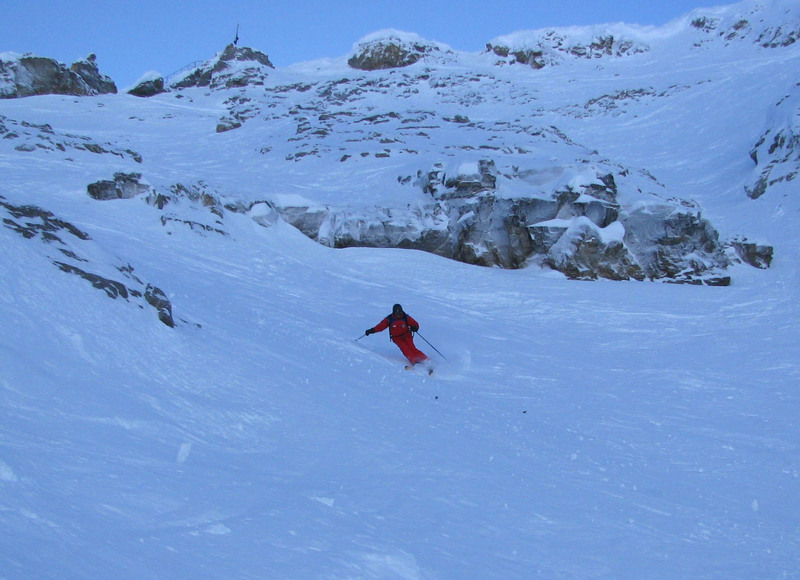 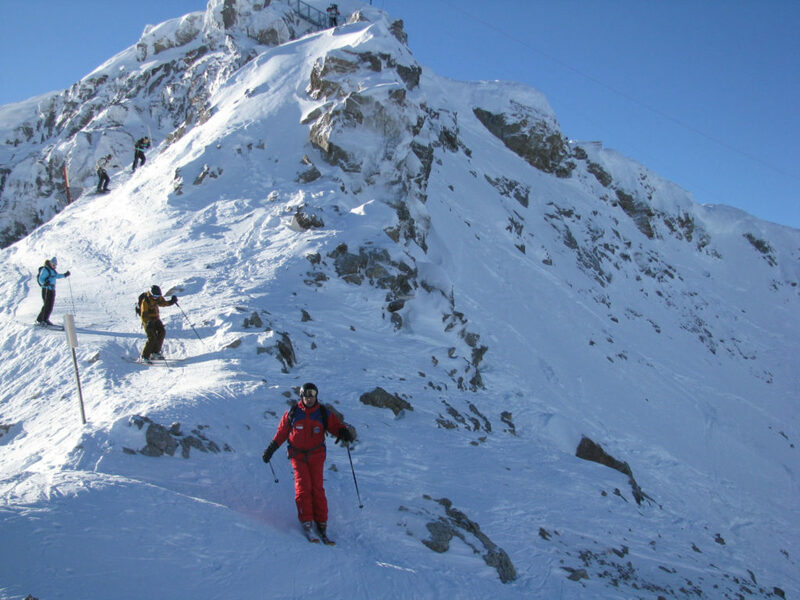 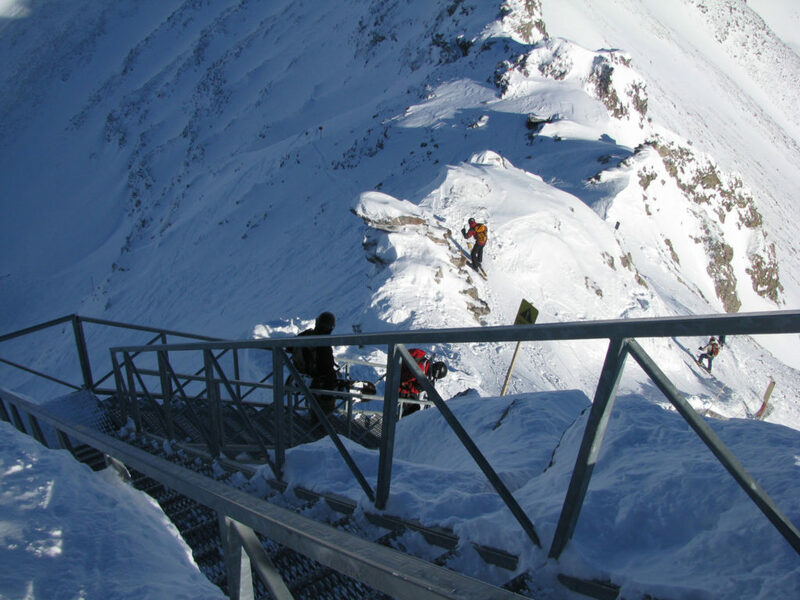 Hire a guide to ski Delirium Dive, you get a knowledgeable guide, avalanche transceivers and shovels, and most importantly – safe guidance down Delirium’s crazy staircase and cliffs. 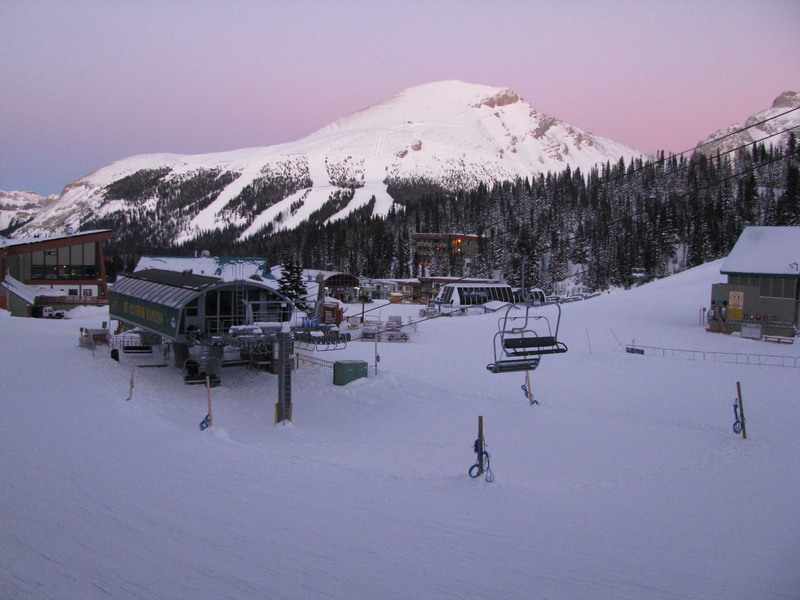 The Continental Divide Chair serves great wide-open groomers with sensational views, plus hike to terrain. 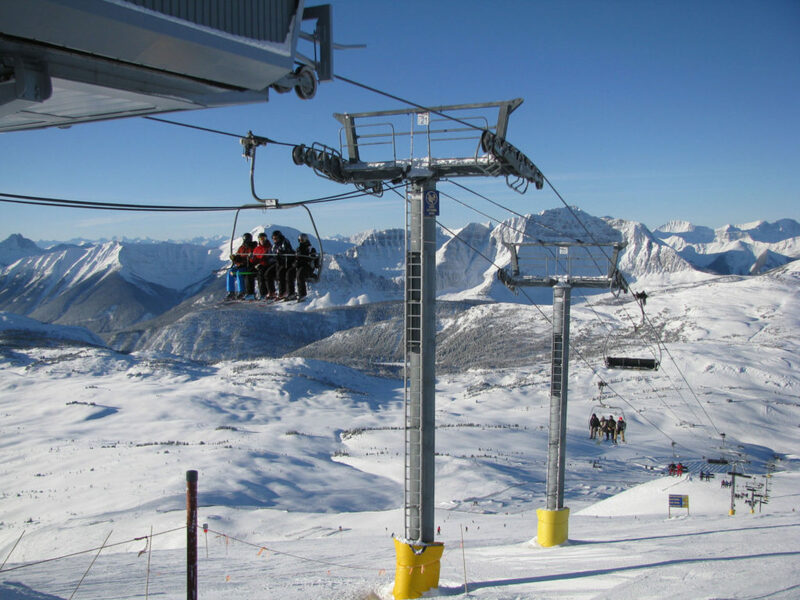 New for 2016, the Teepee lift is Canada’s only bubble covered heated quad serving this mellow ego-pleasing terrain on Lookout Mountain at Sunshine. 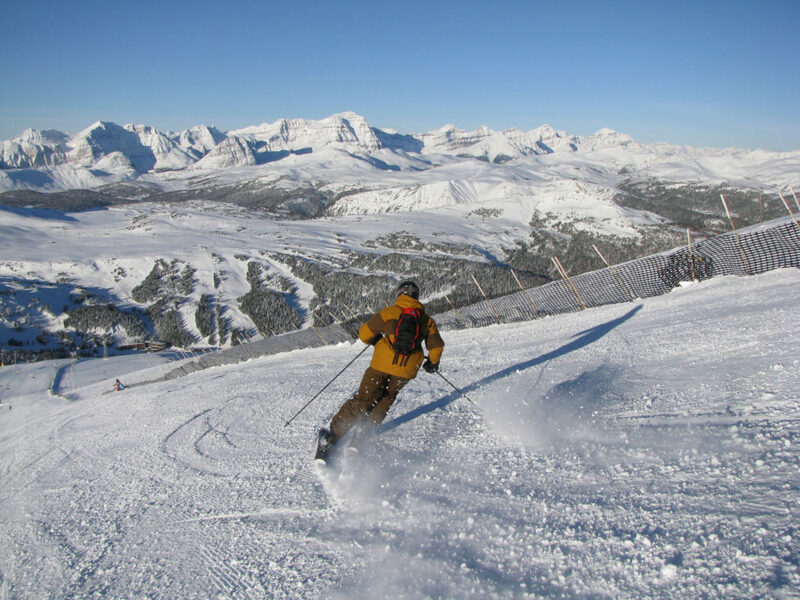 For a great on mountain table service lunch, go to Eagle’s Nest in the Sunshine Village Mountain Lodge, casual fare is served with incredible views of Goat’s Eye and the gorgeous Rockies. 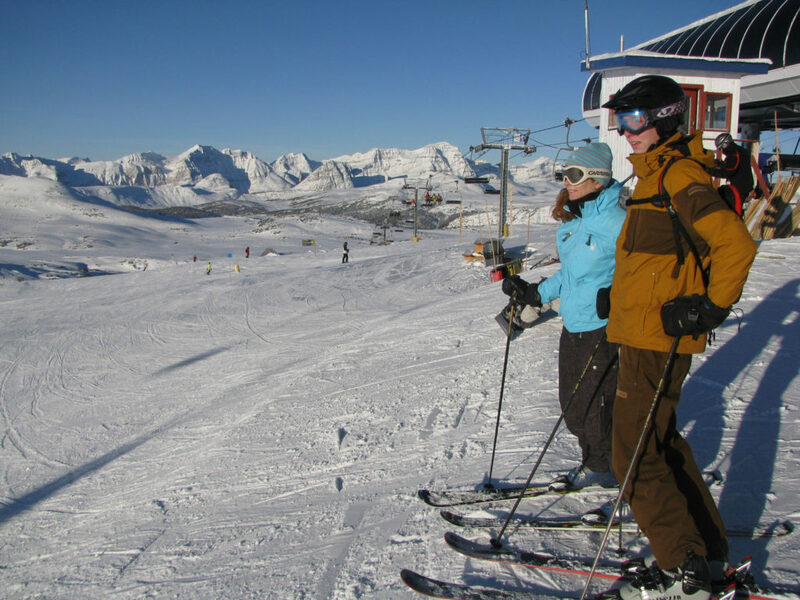 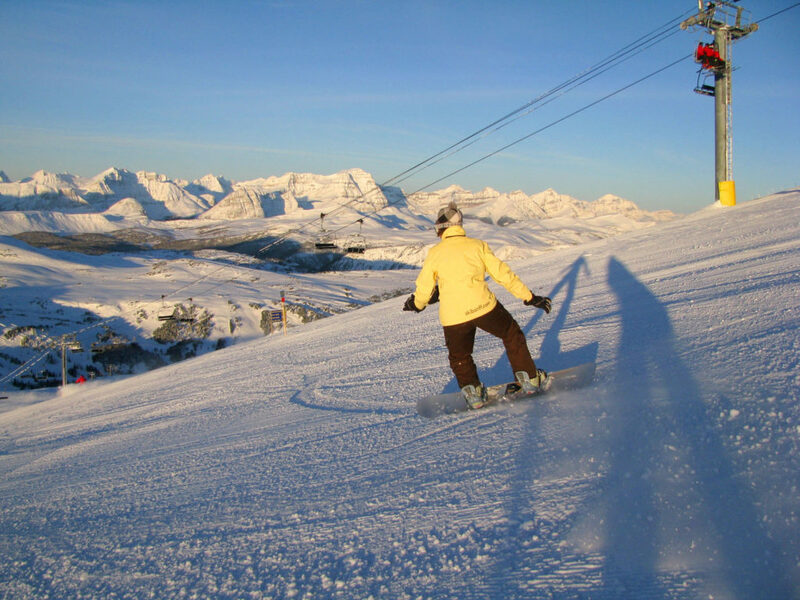 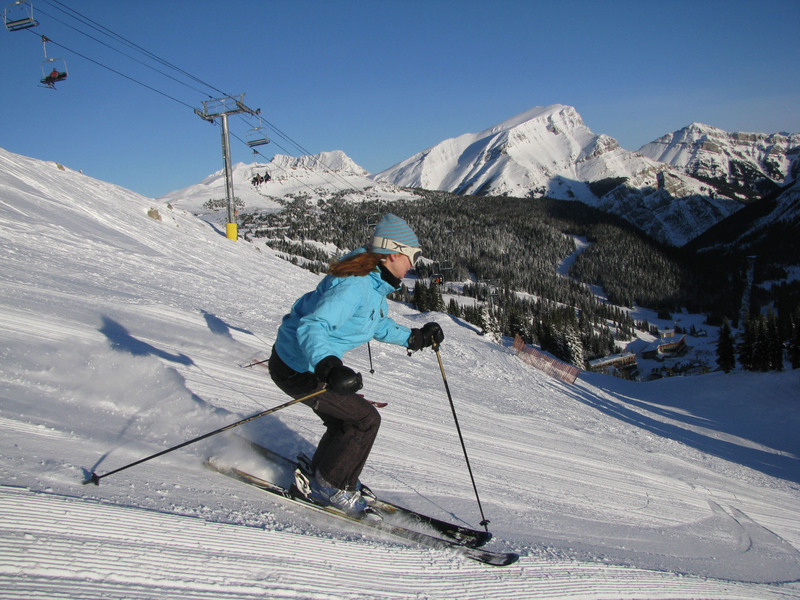 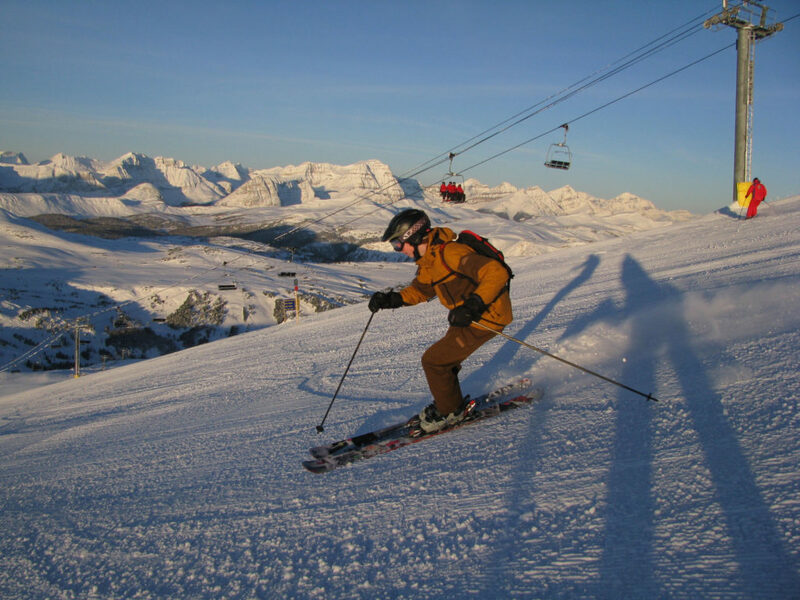 Sunshine offers the only on mountain ski in ski out lodging in Banff National Park at Sunshine Mountain Lodge. We highly recommend this 70’s vintage lodge which was completely redecorated and redesigned in 2009 with an eco-friendly vibe, classy art-deco rocky mountain style. 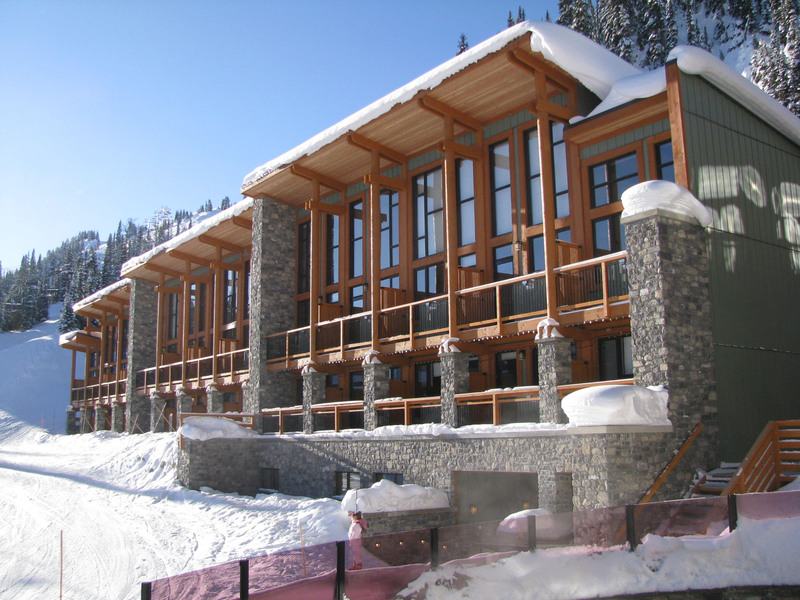 Ask for the West Wing, the perfect floor plan for a family with huge windows featuring the view of Goat’ Eye and the slopes. 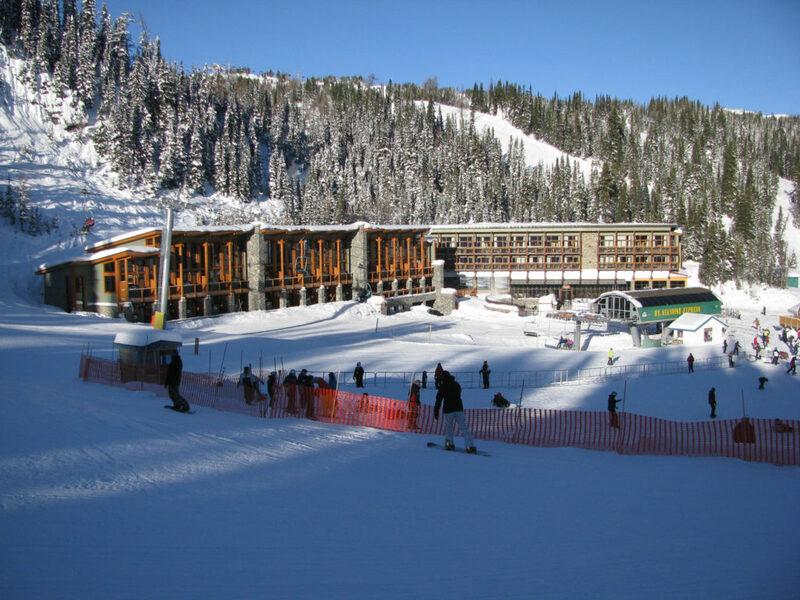 By 5pm, all the other skiers head down the ski trail to the base, and you are left with the friendly Sunshine Mountain Lodge staff and gorgeous alpen glow to yourself. 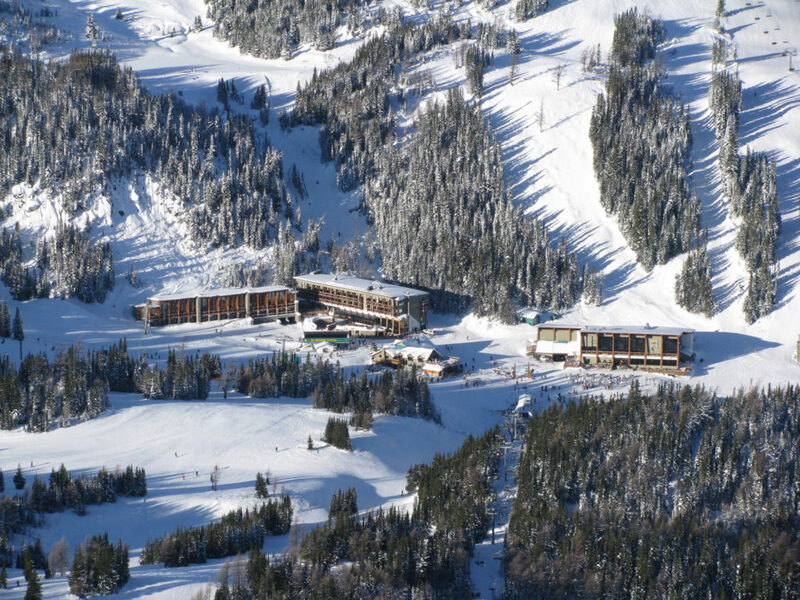 The best view at apres ski is from the outdoor hot tub or the Eagle’s Nest dining room. 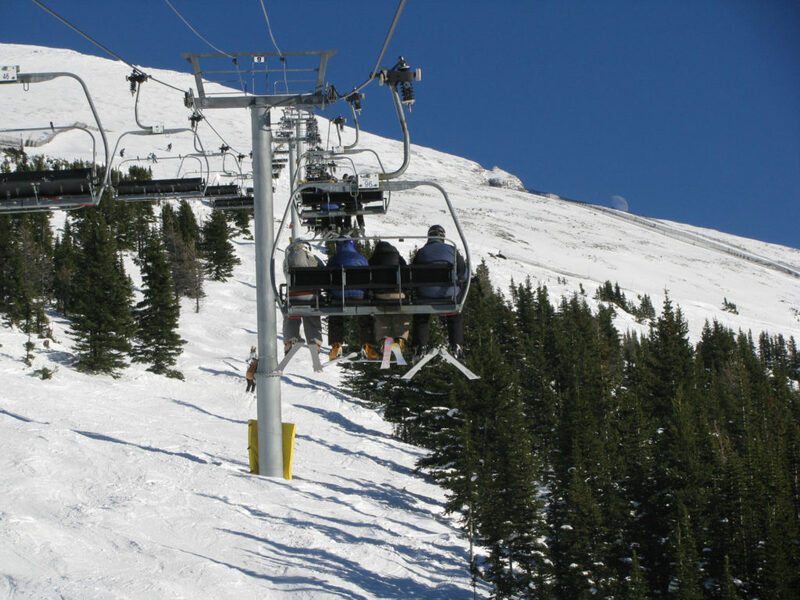 You have no excuse not to make first tracks, since you already mid mountain, others must take the gondola from the base at opening bell. 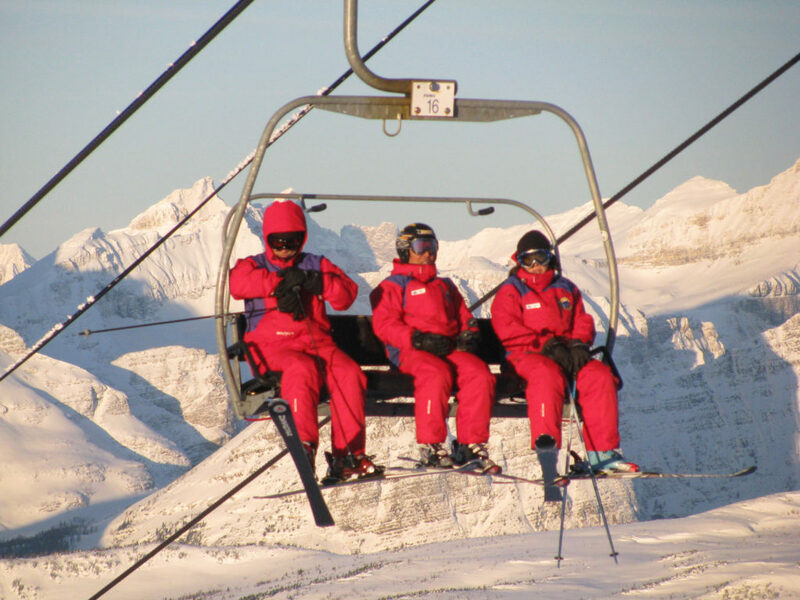 You must ski Banff’s Sunshine and also visit nearby Lake Louise Ski Resort, part of the Big 3 of skiing in Banff National Park, including Norquay as well.